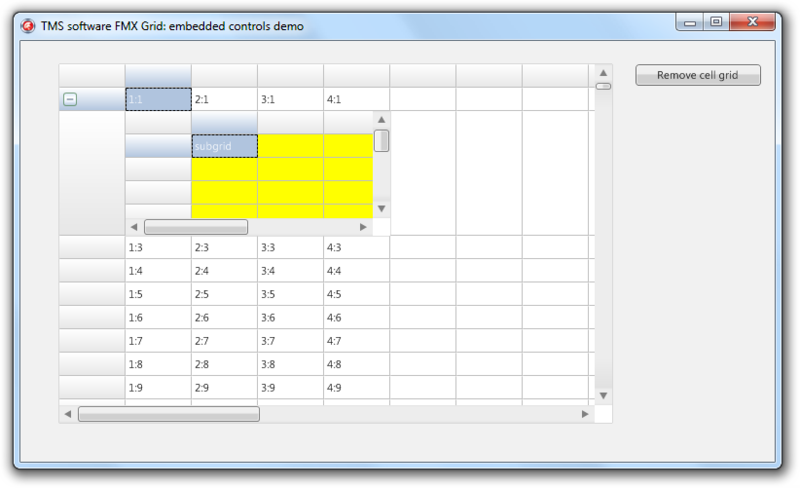 The Embedded Controls demo shows you how to add a control to a cell that is handled outside the grid. You are able to add an additional control inside a gridcell. The control is client-aligned, so with ColumnWidths and RowHeights, or cell merging the cell can be made larger so the control can be made visible and interactable.